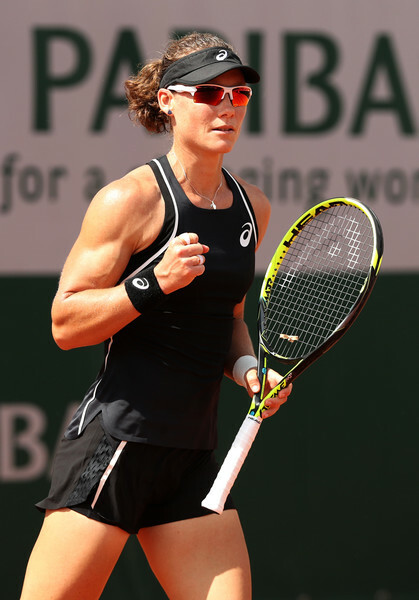 It was an outstanding performance from Samantha Stosur as she showed glimpses of her vintage form during her win over Anastasia Pavlyuchenkova in the second round of the French Open. 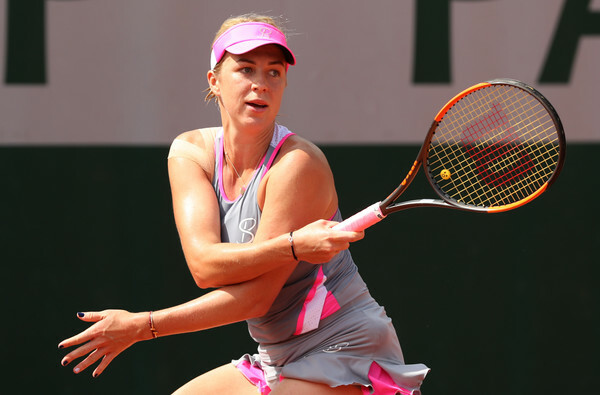 Samantha Stosur clinched a confidence-boosting victory in the second round of the 2018 French Open as she ousted 30th seed Anastasia Pavlyuchenkova with a comfortable 6-2, 7-6 scoreline after just an hour and 38-minutes of play. Stosur, who reached the fourth round here in Paris last year, has to replicate the run otherwise she will fall out of the top-100 for the first time in a decade. This time, she will have to defeat third seed and title contender Garbine Muguruza in the third round to do so. Stosur impressively blasted 27 winners alongside just 25 unforced errors while Pavlyuchenkova threw in an astonishing 35 unforced errors, handing the Australian multiple free points, especially during the critical moments. The former top-five player lost just 12 points behind her first serve, leveling their head-to-head record at 4-4. It was the best possible start to the match for Pavlyuchenkova after Stosur had a slow start and was unable to gain the rhythm in her aggressive game, committing a couple of unforced errors before the Russian fired a backhand winner to claim the break in the opening game. However, her celebrations were short-lived as the former finalist came back roaring with the depth and power of her shots being on point, breaking straight back in comfortable fashion. A series of consecutive service holds followed as both players dominated their next service games with ease, but surprisingly it was Pavlyuchenkova who blinked first. Looking fatigued after her 215-minute marathon against Cibulkova in last week’s Strasbourg final and having to participate in doubles alongside the singles competition, the 30th seed was struggling with consistency and found troubles finding her range, often misfiring her shots. Whereas, it was Stosur who looked incredibly confident with her play and went on a ruthless 12-point run which saw her jump towards a commanding 5-2 lead within a blink of an eye. Serving to stay in the set, Pavlyuchenkova never seemed to find her top form and allowed Stosur to dictate play throughout the rallies. Ending the flawless set with 10 winners and just five unforced errors, she took it 6-2 after just a quick 27 minutes of play. Three consecutive breaks opened the second set as both players stepped up their return game, and Pavlyuchenkova produced some stunning winners as she finally showed glimpses of her vintage form. Ultimately, it was the Russian who had the last laugh as Stosur was getting increasingly erratic at the baseline, allowing Pavlyuchenkova to clinch the first hold and consolidation of the break for a 3-1 lead. The 30th seed had the golden opportunity to extend her lead to a double-break advantage in the fifth game, but she was extremely wasteful on her chances as Stosur often came up with powerful serves and effective groundstrokes to remain in contention, lessening the deficit to just one solitary game. Pavlyuchenkova’s mindset was certainly affected as she conceded a total of four break points in her next service games but prevailed on both occasions as Stosur’s efforts in those lengthy games were overwhelmed by her mishits. Serving for the set, Pavlyuchenkova succumbed to the pressure as she threw in some errors and her earlier efforts were to no avail as Stosur finally managed to get back on level terms. The second set was eventually brought into a tiebreak, and the Australian rode on her momentum and stunningly jumped out to a commanding 6-0 lead, which brought about six match point opportunities. Sparing some embarrassment by claiming a point, it was too late to mount a comeback for Pavlyuchenkova as her doubles partner for the fortnight was able to seal the confidence-boosting win after 98 minutes of play.